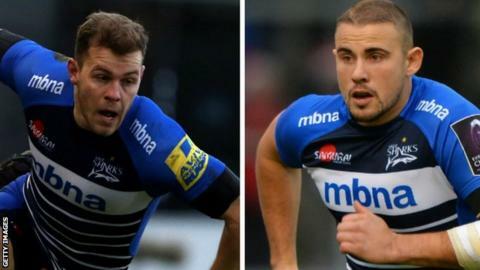 Sale Sharks pair Will Addison and Mark Jennings have both signed new contracts with the Premiership side. Addison, 23, made his Sale debut aged 18 and has established himself as their first-choice winger this season. Centre Jennings, 22, also came through the Sharks academy and has made 50 outings since his debut in 2013. "The lads are important members of our squad and are both young English players with a bright future," said director of rugby Steve Diamond. "They have worked their way through the system and were keen to re-sign and help us build the club to where we want to be."